The Reds will be looking to avoid a sweep tonight in the third and final game of this final series versus the Pirates at PNC Park in 2018. If the Reds can succeed, they will also return home with a .500 (3-3) road trip.Ã‚Â Game time is set for 7:05. Reds starter Homer Bailey will face offÃ‚Â against Pirates rightly Jameson Taillon.Ã‚Â Bailey will be making bis second start of the season verus the Pirates. In is previous start on May 23, He allowed 4 runs (all earned) over 4 innings of work in a game eventually won 5-4 by the Pirates in 11 innings. Taillon is even more familiar with the Reds having already made two prior starts against them in 2018. Most recently on July 20, Taillon pitched 5.1 innings and allowed the Reds only run in a 12-1 laugher won by the Pirates. 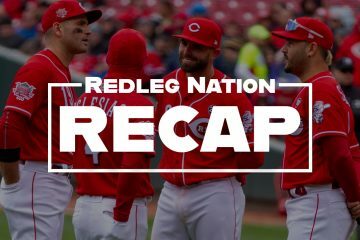 Taillon’s other start versus the Reds on May 22 did not go so well for him as he was rocked for 6 runs in 6 inning of work in a game won 7-2 by the Reds. Over the last month, Homer Bailey’s results have been marginally worse than his full seasonÃ‚Â results, which is saying a mouthful. His earned run average in August was 6.93, 0.8 of a run higher than his full season ERA. His August WHIP was 2.07 which paired with HR/9 rate of 2.55 (7 in 24.2 IP) was clearly a recipe for disaster. Management seems determined to continue to send Bailey to the mound every fifth day for the rest of the season. We can only hope against reason that Bailey finds some way to to pitch more effectively and give his teammates an opportunity to compete in the games he starts. Jameson Taillon on the other hand had a very nice month of August.Ã‚Â In five starts he compiled a 2.38 ERA (3.53 FIP) in 34IP (~6.2 per start), struck out nearly a batter an inning while allowing less than 2 walks per 9 innings and allowed a HR/9 rate of just more than 1. However a game by game comparison of his ERA/ FIP for August suggests Taillon may have been pitching with a bit of good luck. Maybe tonight will be a night when luck turns to the Reds favor against him. The Reds pen covered 3 innings on Tuesday, 2.0 innings (36 pitches) from Michael Lorenzen and an inning (10 pitches) from Matt Wisler. Wilser is likely available for at least an inning on Wednesday. Lorenzen would figure toÃ‚Â not be used especially given the reinforcements due to roster expansion. The Pirates pen was called upon to cover 2.2 innings. Richard Rodriguez, 0.2 innings (30 pitches), and Kyle Crick,Ã‚Â 1.0 innings (15 pitches) were both working on the second consecutive day and figure to be unavailable tonight. Closer Felipe Vasquez worked an inning (14 pitches) in a non-save situation butÃ‚Â no doubt would be available if called on for a 3 out save opportunity tonight. Same old same old. Low OBP guys lead off.Ã‚Â Might it help the Reds recently moribundÃ‚Â offense to put some higher OBP guys at the top? Day off for Barnhart and Ervin. Casali and Williams plugged in for them. Tonight marks the Reds final appearance at PNC park in 2018. 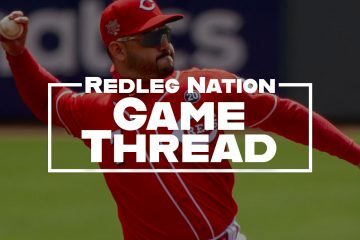 It has been a very unfriendly venue for the Reds this year as they have won just 2 of the 9 games they’ve played there despite having won 6 of 9 at PNC Park in 2017. Here’s hoping the Reds close out their season at PNC Park with a win tonight and thatÃ‚Â positive momentumÃ‚Â carries over into 2019.Ã‚Â GO REDS! Great preview! The games have become so boring. But the previews still continue to be great. @DougGray how is the 2019 draft class looking? Taillon now has 70 or more starts in his 3rd year in the majors and surprise surprise he continues to get better.The Bucs get it don’t they? A time of the year in recent Reds years to do other things and check the score later. Marty didnÃ¢â‚¬â„¢t sound too sure about that tater. Dat Dude also hit the game winning 2 run home run. Homer going to no hit the Pirates again tonight! It must be a mental block of some kind with Votto. In the inning the Prates scored, he veered close to 50 feet towards 2nd to cut in front of Scooter. Then, while holding the runner on, he stays glued to the bag on a routine grounder, whiffed on it, and they were off to the races. No errors charged, but 2 mental errors committed. Just got in to see we have 8 hits and a walk but only one run.Lets see 7 are singles and the homer by Peraza in the first.Same ole same ole. Strange play there. Not sure what Gennett could have done differently. So if Billy had been batting 9th where he belongs (if not on the bench) he could have bunted runner over to 3rd. Instead he gets a 5th AB to strand the runner at 2nd. Votto is going to watch this game end in the on deck circle. Well I take it back.. Peraza worked the walk. Amazing. Peraza should bat lead off, Votto 2nd. Screw Billy’s feelings. He is a horrible hitter and everyone knows it.